CONDITION REPORT: The case is strong and unpolished. The dial is original and unrestored. NOTES: The present watch was purchased at Christie's auction in 2015. 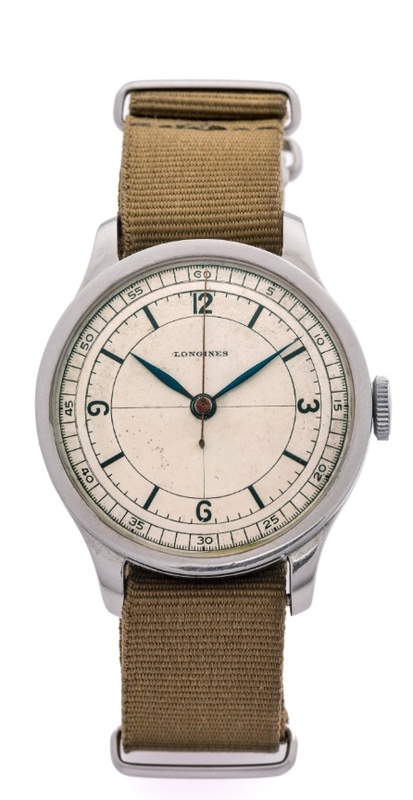 According to Longines, the present stainless steel watch was fitted with a mechanical manually wound movement, calibre 12.68Z, and its subsequent sale on 31 March 1938 to the company Zipper, which was at that time Longines' agent for Poland. Another particularity are the fixed stainless steel bars between the lugs, more commonly found on watches for either military or scientific use.